The Canon 7D Mark II is a much-needed upgrade to the venerable, 5-year-old EOS 7D. 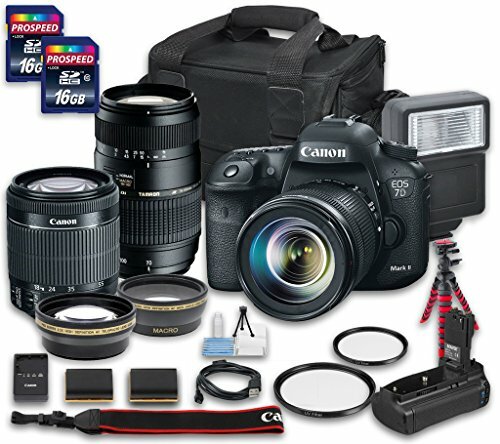 It caters primarily for sports, action and wildlife enthusiast photographers. 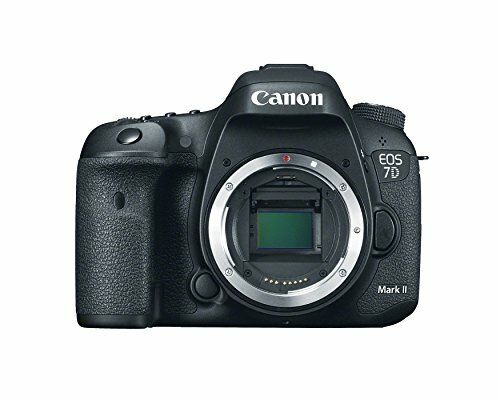 The 7D Mark II has many features and performance specs from 1D-series models. However, it comes at a more affordable price. The Canon 7D Mark II looks to continue this heritage with an even more flexible and sturdy 65-pt. AF system, Dual DIGIC 6 processors and Dual Pixel CMOS AF. 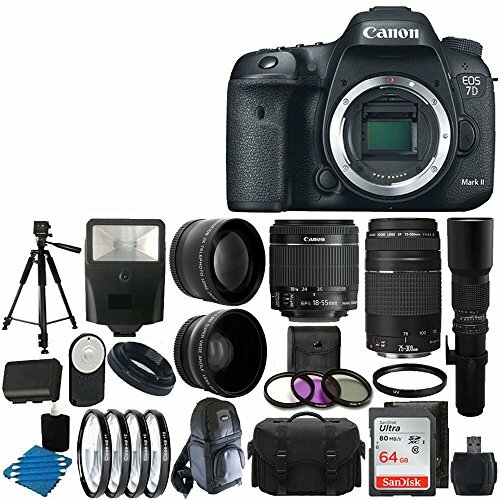 This enthusiast DSLR camera has an improved build quality and more advanced video features. The Canon 7D Mark II is undoubtedly a significant upgrade over the 7D in many ways. Coupled with a new higher-resolution sensor, Canon 7D Mark II has some serious processing horsepower. The original 7D featured dual DIGIC 4 image processors, which was a first for non-1D-series EOS cameras. 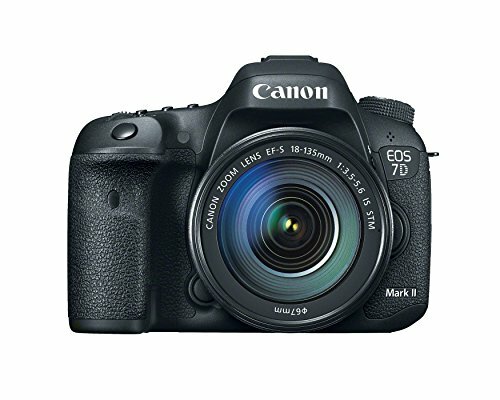 The new Canon 7D Mark II features dual DIGIC 6 image processors, giving this enthusiasts camera more processing performance that any other EOS camera. It’s a dual DIGIC 5+ setup! Thanks to the new 20.2-megapixel sensor and the new dual image processors, the default ISO range is now 100-16,000. It is expandable up to 25,600 and 51,200. Special care has been given to the shutter and mirror mechanisms in the Canon 7D Mark II. The shutter mechanism is now rated up to 200,000 shutter actions. 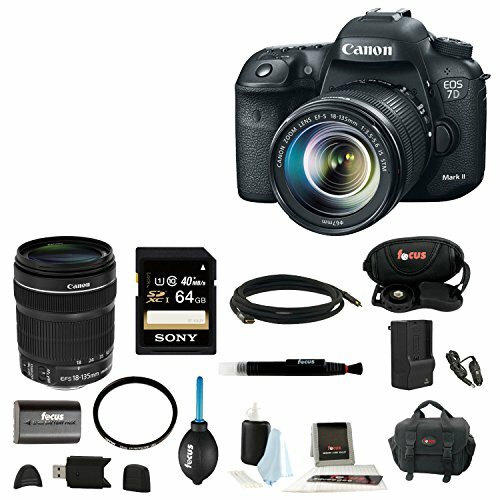 It is an upgrade from 150K in the Canon 7D. The mirror mechanism was redesigned to more closely resemble the 1D X’s system. Specifically, Canon 7D Mark II now uses a motor to move the mirror directly. It is not relying on springs like the 7D. That means you can expect reduced vibrations from the mirror on this enthusiast DSLR. With seven AF area modes, including the new Large Zone AF option, the Canon 7D Mark II is capable of action photography. It takes excellent shots for portraiture and wedding photography. The Canon 7D Mark II also features orientation sensitive AF point selection. It lets an enthusiast photographer configure different AF point modes in landscape and portrait orientations. 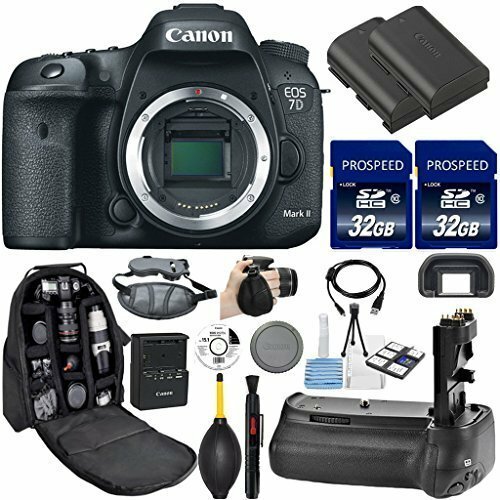 Squarely aimed as a professional video camera, the Canon 7D Mark II includes both a 3.5mm microphone jack and a headphone jack. You can easily monitor audio. There’s also HDMI output and a USB 3.0 connection. For both HDMI and USB ports, Canon will be including a cable protector or cable locking housing. It will help to prevent accidental strain to the cables and ports. Canon stressed that this is an essential item, especially when using the USB 3.0 connection. Any damage to this port can require an expensive repair.